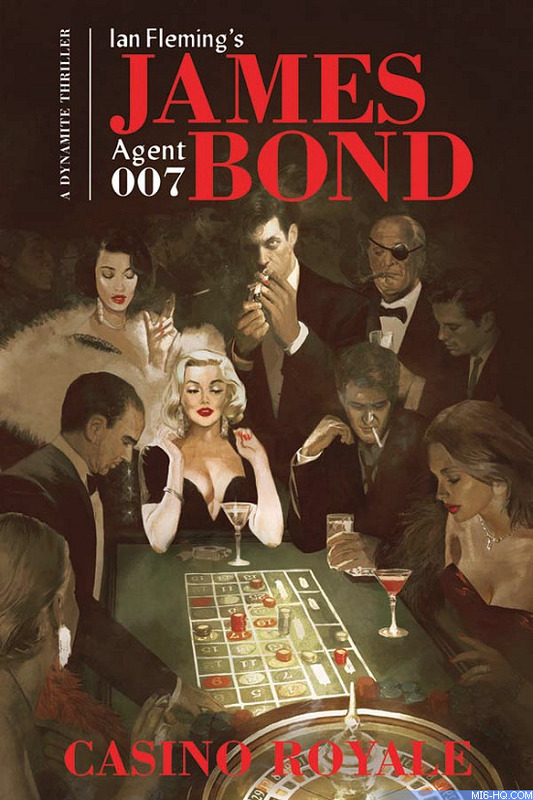 When Dynamite secured the licence with Ian Fleming Publications to produce comic book adventures for James Bond, there were three tracks announced: original serialized comic books set in modern day, a period series charting Bond's naval career and his entry in to the secret service, and finally graphic novel adaptations of Ian Fleming's original novels. Whilst Dynamite jumped deep into the first track with multiple titles, the other two plans have been quieter. Details of 'James Bond: Origin' were only just revealed in April this year, whereas the 'Casino Royale' novel was announced back in July 2016 but its released was twice delayed. Originally, Matt Southworth was to provide the artwork on 'Casino Royale' for writer Van Jensen, but he revealed he had parted ways with the project due to 'creative differences' in late September 2016. Dennis Calero was brought in to deliver the art instead, and the release date punted from November 2016 to April 2017 and then later to October 2017. With its release now upon us, it has been revealed that artist Fay Dalton - who provides the illustrations for the beautiful Folio Editions of hardback Ian Fleming novels - was commissioned for the cover art for this 160-page graphic novel.